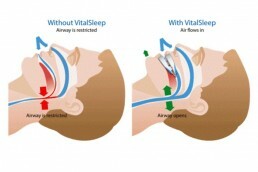 Do you snore loudly and feel tired during the day? 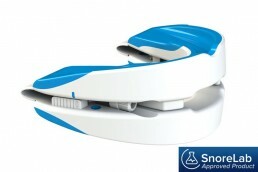 Slim design – VitalSleep has a much less bulky design than many anti-snoring mouthpieces. 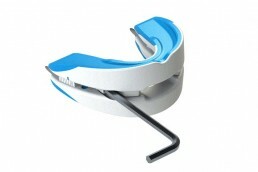 Unique and precise adjustment – allows you to ease yourself into mandibular advancement; securely set the protrusion of the lower tray with 8mm worth of adjustment. 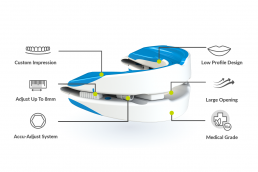 Custom impression – VitalSleep uses a boil-and-bite system to get personalised impression of your teeth for optimum fit. 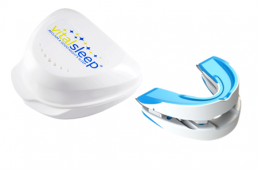 Safe, high-quality materials – made from tested medical-grade materials free from latex and BPA, VitalSleep is made in the USA from FDA approved materials and comes with a 1-year unlimited warranty.